The city of Durango started work on the Santa Rita Water Reclamation plant near U.S. Highway 550/160 last year. There are 11 structures under construction, including the aeration basins. The basins are needed to remove nutrients, such a phosphorus, from the water. Nutrients contribute to harmful algae blooms. In an effort to meet new state water-quality standards by March, the city of Durango rushed to ask voters in 2015 to approve more than $60 million in debt so it could start construction on the wastewater treatment plant in Santa Rita Park. But a backlog of wastewater discharge permits at the Colorado Department of Public Health and Environment means the city may not have to comply with new rules until next year. The new water-quality standards limit nutrients such as phosphorus and nitrogen that can be released into the Animas River. Those nutrients contribute to harmful algae blooms that can decrease oxygen in the water and kill fish. The city was informed that it had to proceed “in good faith” to meet the standards by March 1, when its wastewater discharge permit was set to expire, City Manager Ron LeBlanc said. “We did not have any other options than to bid the project and push for a tight construction schedule,” he said. However, the city recently received a reprieve from the March deadline because the state is facing a backlog of wastewater discharge permits, state Water Quality Control Division staff said in an email. The city was granted an administrative extension to its permit which lasts until the state takes action to renew it. “Given our current backlog, cities typically operate under an administrative extension for anywhere between 1-4 years,” the email said. New funding in July should help the department reduce its backlog and it is likely Durango’s wastewater discharge permit will be reissued sometime in 2019, water quality division staff said. 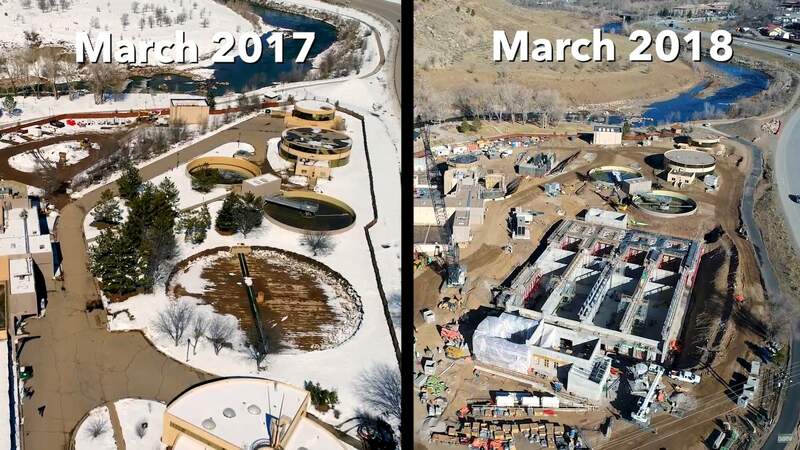 The city did not anticipate having additional time to finish upgrades to the wastewater treatment plant and placed a bond issue on the November 2015 ballot asking voters to approve $68 million in debt. Before the vote, residents argued the city should spend more time studying alternative sites to relocate the plant, saying the existing plant should be moved to a less visible and less frequented part of town. Alternative sites the city considered would have been much more expensive, and there was no formal process for the city to apply for an extension of its wastewater discharge permit before asking contractors to bid on the project, LeBlanc said. “We really needed more time. More time would have resulted in more bids from contractors,” he said. The city received two bids on the project, both higher than the city anticipated, in part because of the tight timeline, city staff said at the time. The city expects to spend $54.7 million on the sewer plant project, City Engineer Gregg Boysen told Durango City Council in April. The additional money voters approved was set aside as contingency money and for additional sewer-system upgrades. The wastewater treatment plant is expected to be finished in mid-2019, the same year the state may issue a wastewater discharge permit. However, the city is “still pushing hard” to complete two structures needed to limit the release of nutrients by May. The city expects to meet or exceed state water-quality standards, Boysen said. “The city is not in a position to guess when the state may issue the permit,” he said. But it will receive 60 days notice ahead of time before the new permit is issued. 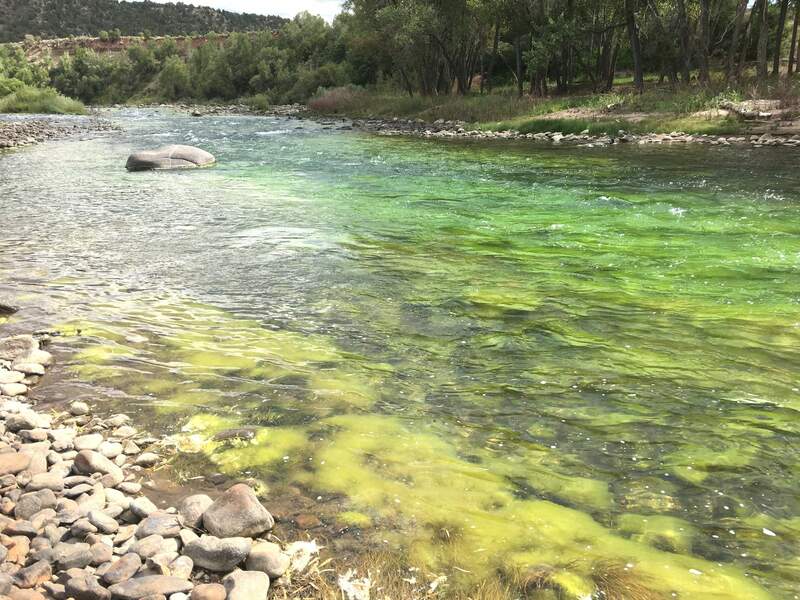 Meeting state standards for nutrients could help prevent algae blooms, particularly in what is expected to be a low-flow year for the Animas River. Low flows can increase water temperature and encourage algae growth, said Brian Devine, water quality program manager for San Juan Basin Public Health. Limiting the release of nutrients can help stymie algae growth. An algae bloom in September 2017 turned the Animas River a fluorescent green a few miles south of Durango, just below a wastewater treatment plant. Algae blooms can occur with abundant nutrients, low water flow and warm temperatures. “It is in essence plant food that is in the water and allows the algae to really run wild,” said Jarrod Biggs, assistant utilities director for the city of Durango. Removing the nutrients also makes it easier for downstream users to treat water, Biggs said. Earlier this month, Boysen said construction on the wastewater treatment plant is about 40 percent complete. The city set aside an additional $5 million to cover unforeseen costs, and it has about $4.3 million of its contingency funding remaining, he told the council. “It looks like we’re going to be well within our budget,” Boysen said. Residents have had three years of double-digit sewer rate increases to pay off the needed improvements. Average monthly sewer bills are $49.94. The city expects to pay off the sewer plant debt by 2038. How much do you pay to flush?